Collector’s Paradise was created in September of 1994, when Edward Greenberg and Joseph Zelich bought an existing comic book store, called Little Angel’s Comics. Little Angel’s business was in shambles, but pogs were keeping it afloat. Its prominent location, on a major intersection, across from two schools and a busy traffic street, was what attracted the new owners to the store. For the next few years, the two tried to refocus the business model of the old store and focus more on comic books, the emerging graphic novel category, and customer service. A few years later, the store moved two doors down to a much bigger location and, in the past few years, has finally started to become the type of store the owners have always had in mind. In the last 5-6 years, the store’s goals have been re-evaluated again. They now include moving forward into online presence and continuing to refine our online customer services, including a custom-created Online Subscription Management software application. It lets the stores’ customers track and organize their monthly comic book subscriptions online and have access to complete Previews catalog information for nearly every title. The mail-order part of Collector’s Paradise business has grown tremendously since the software was implemented. The store changed again dramatically in 2009, when a full-time gallery was opened with an awesome Grand Opening Party, which featured famous comic book and culture artist Jim Mahfood producing a wall-size mural in front of huge crowd. Since then we have hosted Art Gallery Exhibits and sell a wide variety of Original Art and Limited Edition Prints from a wide range of Artists. In April of 2010, Collector’s Paradise opened its second location in Old Town Pasadena. We have been working hard to recreate the signature Collector’s Paradise experience for a whole new comic book audience. 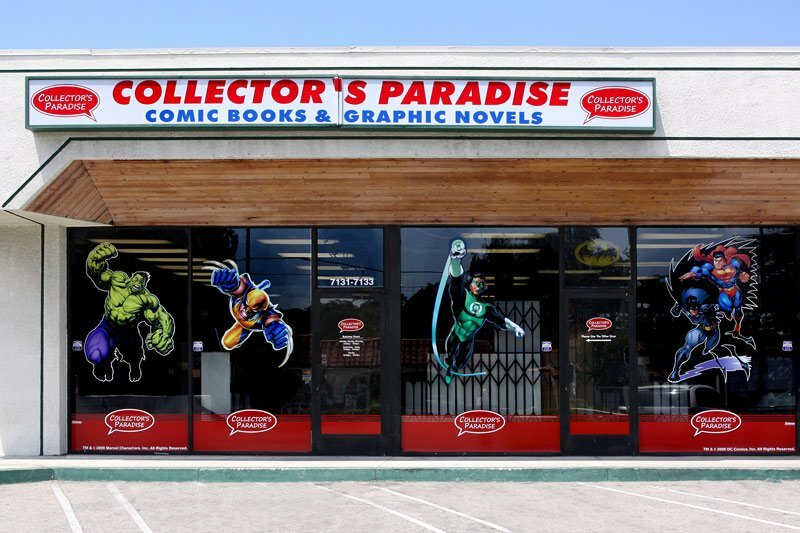 For the last few years, Collector’s Paradise has been honored with the title of “Best Comic Book Store in Los Angeles County” by a Fan Poll done by LA HOT LIST. We treasure this achievement more than any other in our long history, because every year, it’s a poll where LA Comic Book fans vote for their favorite stores. To us that is more important than any industry honors or magazine reviews.